George’s episode of The Royal (Series 8, Episode 11) Beneath the Surface, is to be broadcast on 24th July 2011 on ITV1 and ITV1 HD at 19:00 and ITV1+1 at 20:00. The staff of The Royal are faced with multiple casualties at the scene of an explosion caused by a World War Two bomb disturbed by workers on a building site. Doctors Ellis and Weatherill race to the scene to discover one of their own among the casualties. Theatre technician Alun Morris was passing the site on his scooter at the time of the explosion but escapes with only minor cuts and bruises. This is in stark contrast to a homeless man sleeping rough at the site who is trapped in the rubble and must face the fact that the only way to free him is to amputate his foot. Meanwhile back at the hospital, severely damaged in the previous episode when a water tank fell through the ceiling, the staff are still struggling to find a solution to the problems of the cash strapped casualty department. The health authority are refusing to pay for the work required and in the absence of funding it appears there may be little option but to close the department and make cost cutting redundancies. However, just as Jean proposes closure, hope comes in the form of mystery benefactor, Terence Mavers, a wealthy local businessman who makes it known his company would like to donate the £20,000 required for repairs. Could there be strings attached to the offer? Doctor Ralph Ellis is openly hostile to the generous offer and later confides in his girlfriend and nurse at The Royal, Carol, that Terence is his father. Ralph is unable to forgive his father for a incident in the past and his hatred for his father puts the entire deal at risk. Finally new news of The Royal after a two year hiatus! 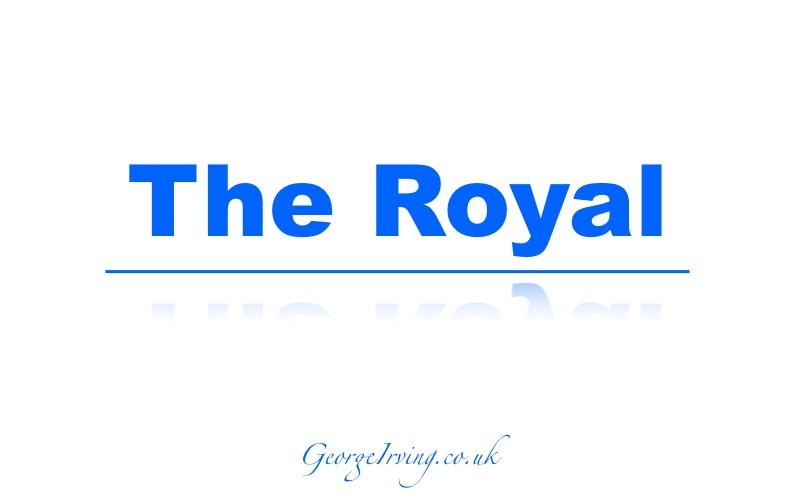 George will be starring in the penultimate episode of ITV1’s The Royal to be screened in the summer of 2011. ITV’s retro medical drama, The Royal, returns after a two year break with its last ever episodes and picks up where the series left off in 2009. Series 8 opens with an episode entitled “Any Old Iron” on 5 June 2011 and continues with “Should I Stay or Should I Go Now?” the following week on 12 June 2011, the series will continue until the final episode on 31 July 2011. Filmed in autumn 2008 this final run of episodes features a strong cast including Wendy Craig, Glynis Barber, Linda Armstrong, Michelle Hardwick and many guests. The opening episode also features veteran actor Ian Carmichael‘s last performance before his death early in 2010. The Royal is screened on ITV1 and ITV1 HD.